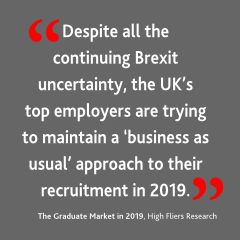 The National Graduate Recruitment Conference is the one-day event, exclusively for graduate recruiters from the UK's leading employers, presented by High Fliers Research. Now in its thirteenth year, the conference is timed to take place just before the start of the new university recruiting season and brings together more than 150 recruiters from across the country to reflect on the very latest developments in graduate recruitment and set the agenda for the year ahead. 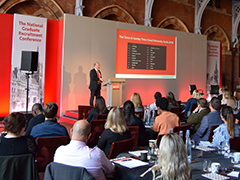 The 2019 conference is being held in central London at the iconic, five-star St Pancras Renaissance Hotel, providing a convenient and prestigious setting for this year's event. Be the first to hear about graduate recruitment targets for 2020, take part in conference discussions and sessions run by some of the country's most successful graduate employers, and network with colleagues from more than twenty different industries and business sectors. 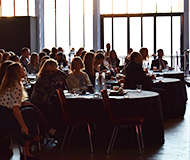 So, book your place for this year's conference and make a date to join the UK's top graduate recruiters on Friday 20th September 2019. 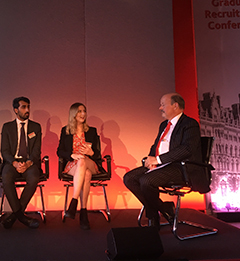 With no sponsors, no agencies and no suppliers, The National Graduate Recruitment Conference provides a unique forum for the UK's most successful employers to discuss and debate every aspect of graduate recruitment. 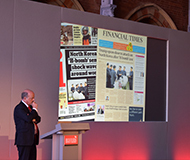 The conference will be chaired by Martin Birchall, Managing Director of High Fliers Research and Editor of The Times Top 100 Graduate Employers. 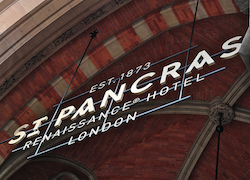 The conference is being held on at the St Pancras Renaissance Hotel in central London. Registration will be from 9am, the conference begins at 9.30am and the day concludes at 5pm. The conference is taking place in the Hansom Hall and lunch will served in the hotel's ballroom. 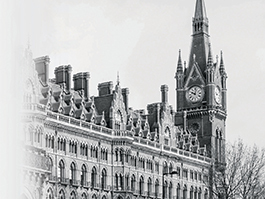 The National Graduate Careers Conference 2019 is being held at the St. Pancras Renaissance Hotel in central London. Housed in one of the city's most iconic buildings, the five-star hotel opened in 2011 following the redevelopment of St Pancras railway station. The St Pancras Renaissance Hotel adjoins St. Pancras International railway station, directly adjacent to Kings Cross station and is five minutes walk from Euston station, which are served by Virgin Trains, Virgin Trains East Coast, London Midland, First Capital Connect, Eurostar and London Overground service. Kings Cross St. Pancras Underground station is on the the Piccadilly, Victoria, Northern, Circle, Hammersmith and City and Metropolitan lines. Many bus services stop at St. Pancras Station, including 390, 46, 205, 10, 91, 45, 59, 63, 17, 30, 476 & 259. 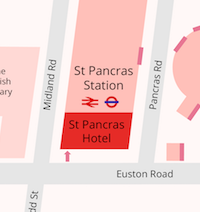 There is no onsite car parking within the hotel, but St Pancras station car park is accessible from Pancras Road and there are car parks on Britannia Street and Judd Street, within a 10 minutes' walk. Overnight accommodation for the conference can be booked directly via the hotel's website or is available at the nearby Pullman London St Pancras, Great Northern, Premier Inn Euston, Premier Inn Kings Cross, Travelodge or Hub hotels.